The Board criticizes the government for reducing budget cut goals and for not including the latest information for baseline projections. The Oversight Board and the administration of Ricardo Rosselló Nevares seem to be heading to another conflict over the next budget, after the federal entity notified the governor that the new projections do not comply with PROMESA. On Friday, the Board sent a letter to Rosselló Nevares to tell him that it is time to implement fiscal adjustments and structural reforms, and asked him to explain different savings strategies in public spending, such as the voluntary early retirement program his administration has promoted. 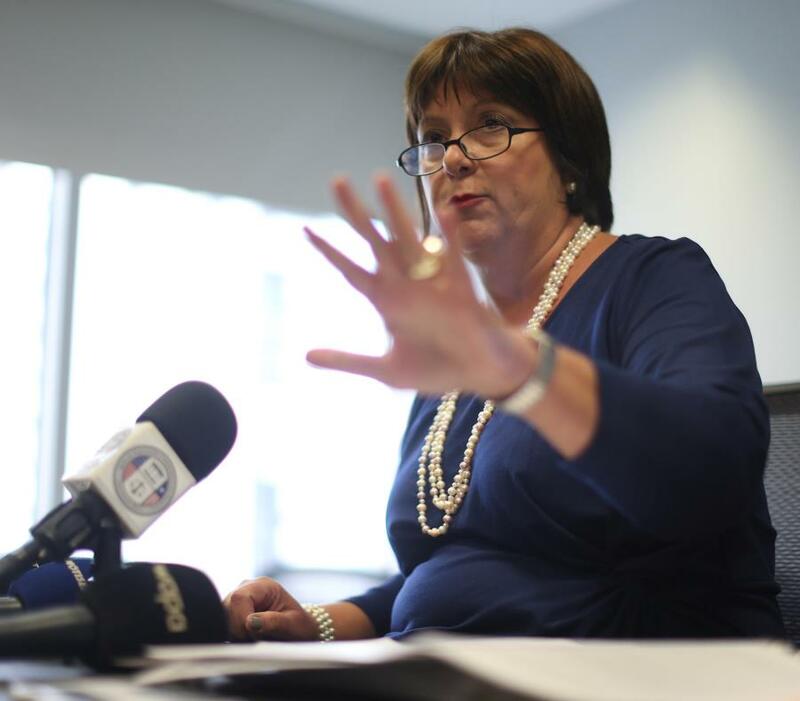 The Board released the letter to the governor yesterday, minutes before the Board´s Executive Natalie Jaresko addressed the press to explain that the Rosselló Nevares administration was requested only to change the projections in the plans already certified and not to alter the path agreed before. Immediately, Christian Sobrino Vega, executive director of the Fiscal Agency and Financial Advisory Authority (FAFAA), disagreed with Jaresko, and said he expected "greater diligence" from her and her team when evaluating new information that the public corporation will deliver in the next few days regarding the government's fiscal plans. "We categorically reject that our proposal does not comply with the law (PROMESA)," said Sobrino Vega in written statements. Sobrino Vega added that the notice of violation of PROMESA was already anticipated since the Board had revealed its intention on January. "We question the accuracy with which our proposal was evaluated," Sobrino Vega continued, saying that the figures provided by the government are the "most accurate and recent of the fiscal behavior of the island." However, when Jaresko detailed the differences with the local administration, she that the pace of the government´s move is far from what the certified fiscal plan establishes. Among other things, Jaresko said that the government's proposal continues to delay the structural reforms necessary for economic growth. Changes in the criteria of the Supplemental Nutrition Assistance Program (SNAP) are among the pending issues listed by the Board. According to the proposal, participants should either have a job or be in an employment training program to access the benefit. “Accordingly, the Oversight Board intended for this revision to the Certified Fiscal Plan to be focused on incorporating the latest material information and certain technical adjustments, not for renegotiating policy initiatives,” reads the letter sent by the Board. "The Proposed Plan removes the requirement to publish the Tax Expenditure Report," reads Jaresko's letter. Former Treasury Secretary Teresita Fuentes Marimón had told El Nuevo Día that the Tax Expenditure Report, like the audited financial statement for fiscal year 2016, would be published this month. Jaresko argued that the Board had eased savings goals that should be achieved in the Government Health Plan PSG, Spanish acronym), known as Vital. Initially, for fiscal year 2023, the government had to save about $ 827 million in the payment of the monthly premium it pays for each participant. In the new proposal, the Board reduced that goal to $ 671 million. Fiscal balance was put in the back-burner since February 15, when the Boston First Circuit Court of Appeals concluded that the Board is unconstitutional because its members were not appointed following the U.S. Constitution Appointments Clause -which requires advice and consent of the Senate- and after El Nuevo Día reported statements by former Revitalization Coordinator Noel Zamot, who recently assured at a public event that government officials hampered the implementation of PROMESA Title V or would have incurred in practices that are contrary to transparent public administration. On the legal level, Jaresko revealed that, in "a couple of weeks", the Board will file its writ of certiorari on the constitutionality of the fiscal entity before the U.S. Supreme Court. Regarding the restructuring process, Jaresko said that the Board is interested in filing a government adjustment plan before the court presiding over PROMESA Title III cases, next month, but said she did not know if the proposal will be imposed on creditors, which is known as a cram down. In dollars and cents, the document submitted by FAFAA seeks to postpone strategies and reduce almost by half cuts in the government operational expenses. Specifically, the plan proposed postpones until after the 2020 elections the most important adjustments in public spending, a dynamic that El Nuevo Día revealed last year. Based on the fiscal plan certified by the Board and the draft fiscal plan of the Rosselló Nevares administration dated March 10, the cuts estimated over a five-year period will now be 45 percent less. In the October version certified by the Board, the government promised to cut about $ 2.848 billion after five fiscal years. In the the Rosselló Nevares revised proposal, savings from operations adjustments would total $ 1.568 billion by the end of fiscal year 2024. To start with, during this current fiscal year, the governor's proposal details that, instead of saving $ 629 million as planned, the government would spend about $ 273 million above the projections set. However, the Rosselló Nevares administration not only zooms off from the cuts it once outlined, but with the new proposal, the government would make adjustments once the next governor takes office in January 2021. This, because according to the FAFAA proposal, in fiscal year 2020, cuts in spending would only total $ 97 million, instead of $ 1.622 billion, as established in the October version. Between fiscal years 2021 to 2023, cuts goals would reach $ 744 million, $ 1.164 billion and $ 1.375 billion, respectively. Initially, and between fiscal years 2021 to 2023, the Rosselló Nevares administration had agreed with the Board to cut its expenses in $ 2.365 billion, $ 2.661 billion and $ 2.848 billion. "Our hope is that through the process of re-certifying the Fiscal Plan, the Government re-commits to taking the actions necessary to put the Commonwealth on the path to a better future," reads Jaresko's letter. According to the Board´s executive director, although the government has taken various steps, the new proposal postpones adjustments that are key to the economic recovery. As a result, the economic projections that give way to the plan have also been reduced and deficit would persist. Initially the Board believed that in fiscal year 2018, the economy would shrink by 8 percent, to later grow by 7.9 percent; 5.5 percent and 2.9 percent in fiscal years 2019 to 2021. This, if the series of structural reforms that the Board requested were implemented.